Home beauty health news life hacks lip balm lips worldhealthinfo Lip Balm Is Not Just For Your Lips: Here Are Some Surprising Ways In Which You Can Use Lip Balm! Lip Balm Is Not Just For Your Lips: Here Are Some Surprising Ways In Which You Can Use Lip Balm! Lip balm works wonders to protect your lips from cracking, but do not be fooled by the packaging. There are many more ways in which lip balm can be. Dry and cracked cuticles often need more moisture than the hand lotion can give them. 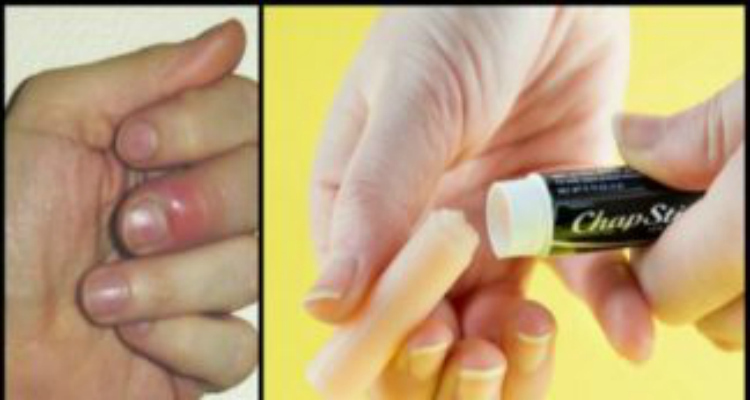 In such cases all you need to do is simply rub lip balm into cuticles. This will make a very big difference especially when it comes to the health of your nails. If your zipper is stuck all you have to do is apply some lip balm on it and then move it up and down several times to release it. Camphor and menthol will relieve the itching.